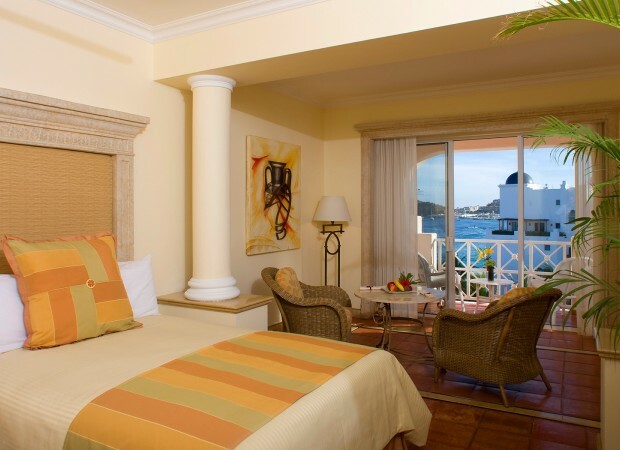 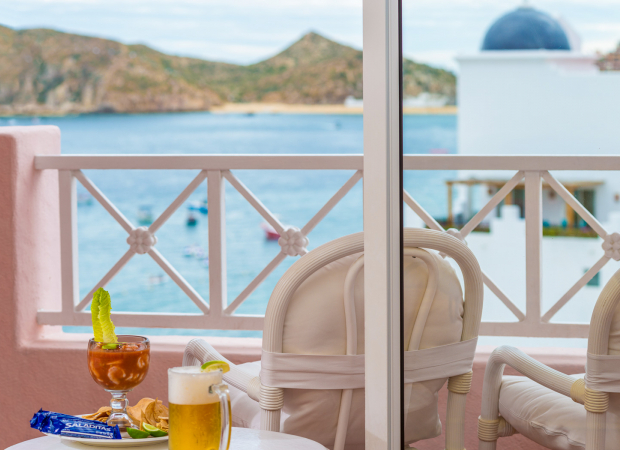 Enjoy the spacious comfort of our luxurious all-suite accommodations featuring beautiful ocean or garden views and a fully equipped kitchenette for the ultimate touch of convenience. 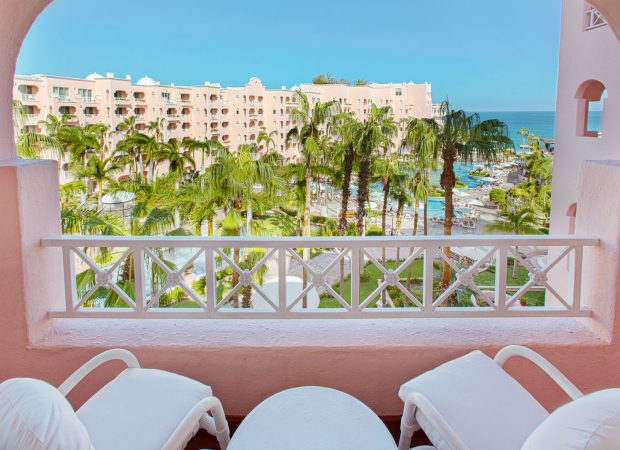 Each of our 260 junior and luxury suites is beautifully appointed with elegant furniture, plush bedding, lifestyle technology, and a balcony or patio. 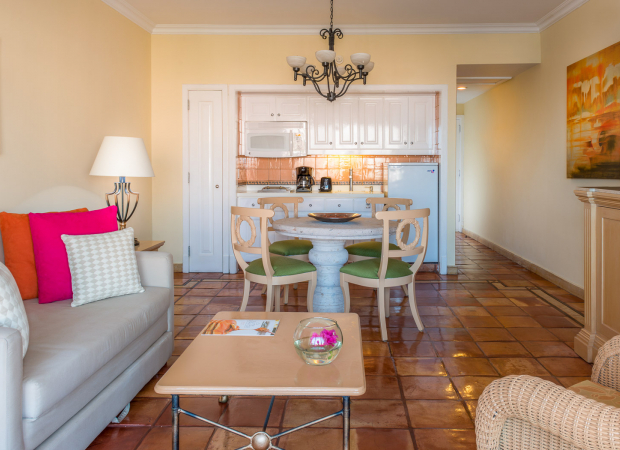 Our Junior Suites feature over 540 square feet of living space, including two double beds or one king bed (available upon request), an open living area with table and chairs, a large bathroom, and a fully accessorized kitchenette with service for four. 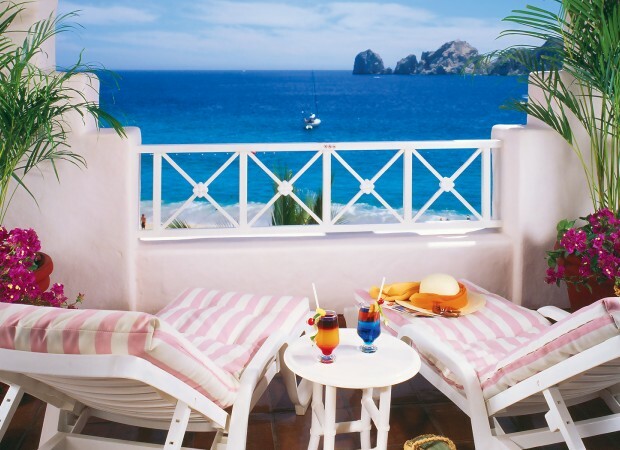 The private balcony or terrace will have a pool and garden view, and ocean view can be requested. 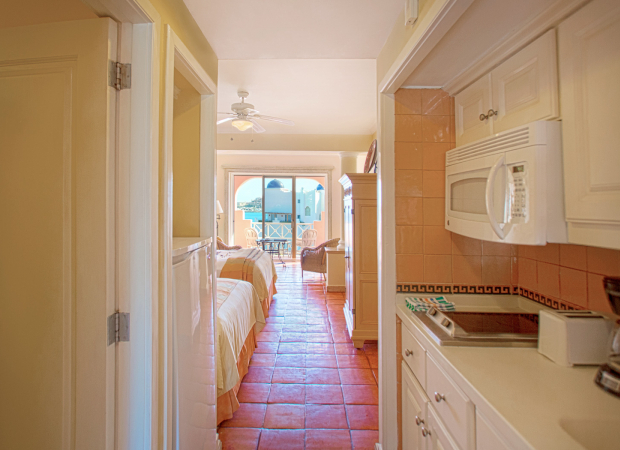 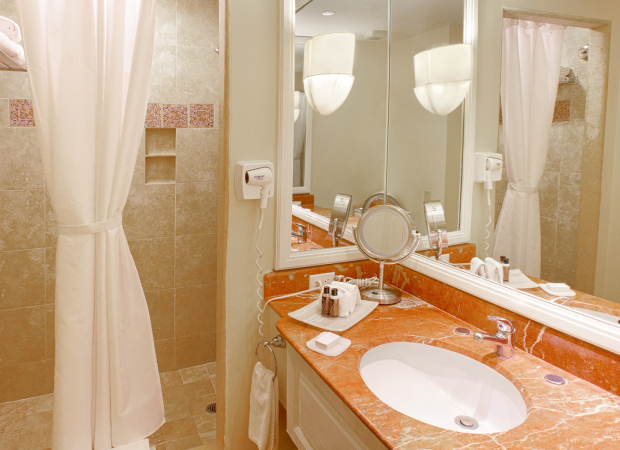 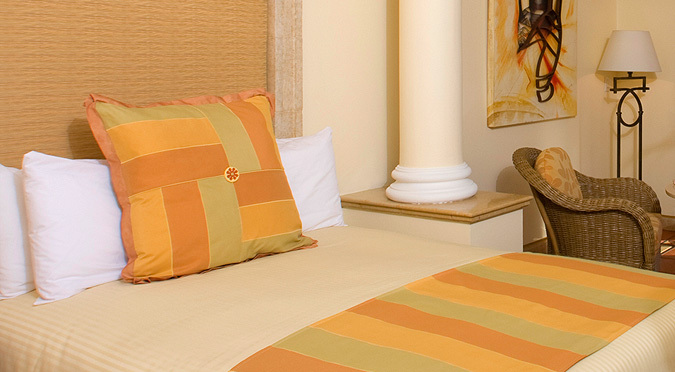 Junior Suites can accommodate up to four guests. 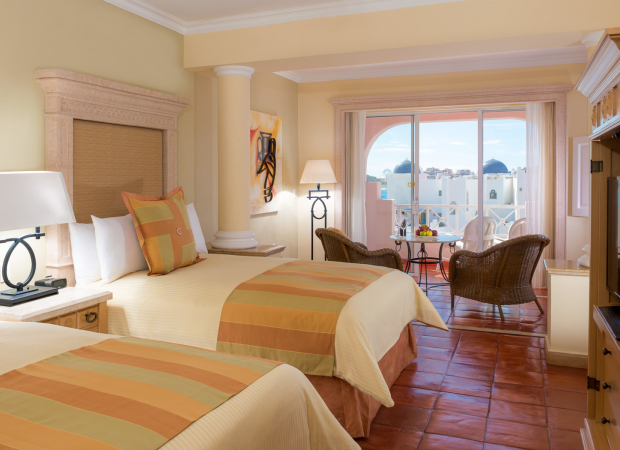 Offering more than 715 square feet of space, our Luxury Suites have a private bedroom and are perfect for families and guests who simply enjoy extra room to roam. 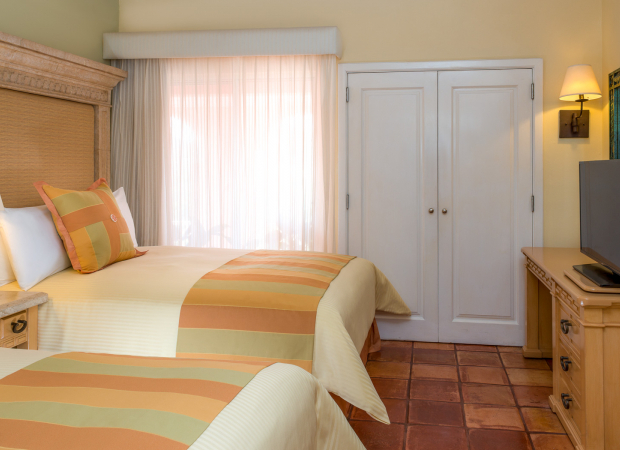 The bedroom has two double beds (one king bed is available upon request) and a TV armoire. 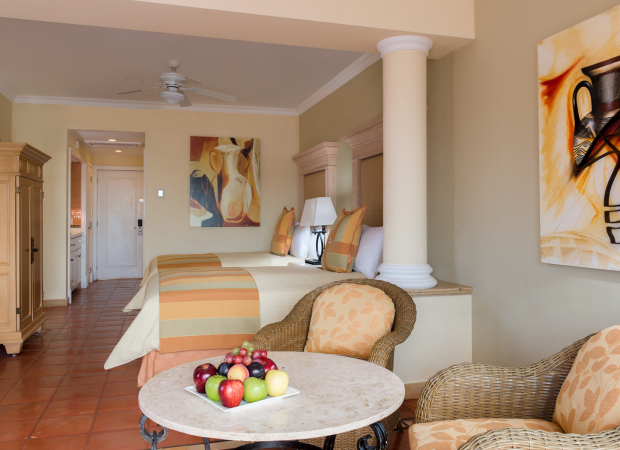 The stylish living room is furnished with a queen-size sofa sleeper and the large bathroom can be entered from the bedroom or hallway. 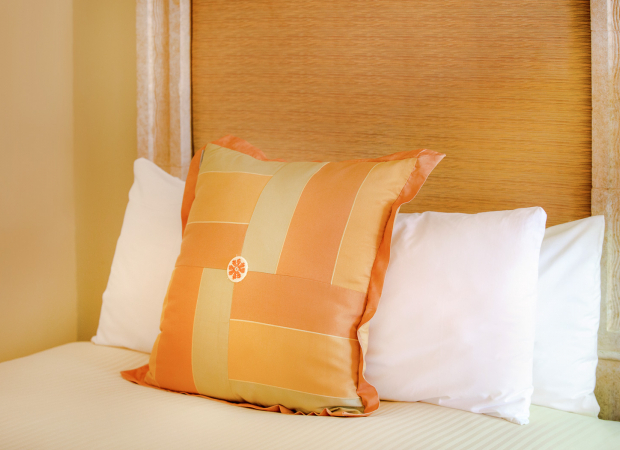 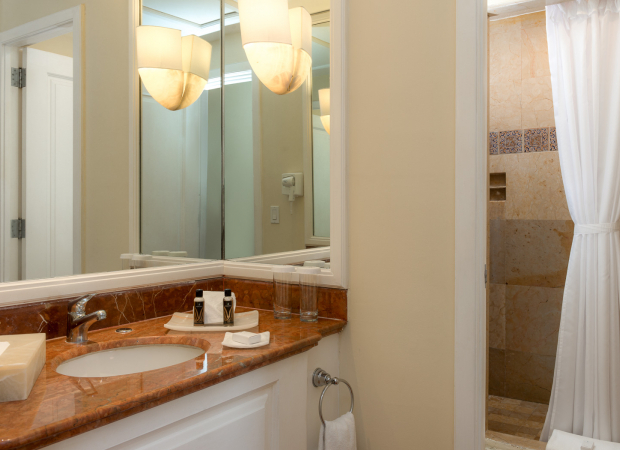 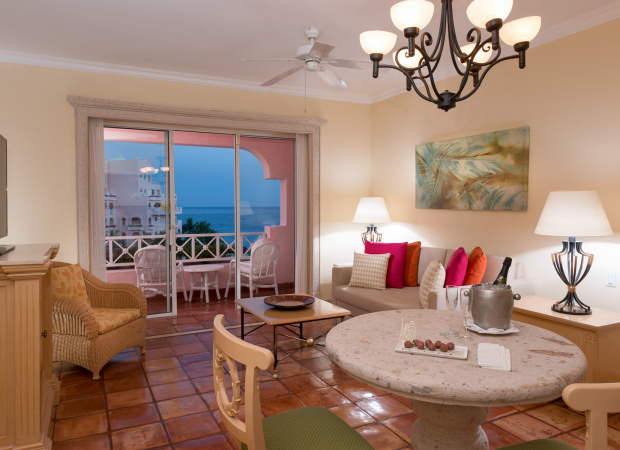 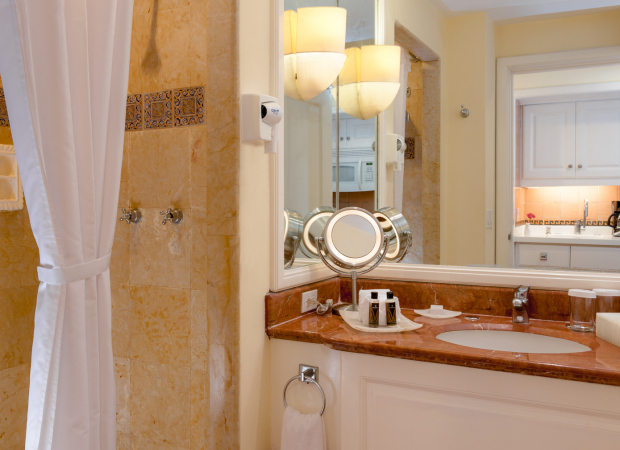 Our Luxury Suites accommodate up to six guests.